Bi-fold windows (also known as French Windows) are usually installed into kitchens. Opening up your bifold window onto your entertainment area allows you to serve food and still be in contact with your guests. These windows can also have a wide flat servery sill and an integrated roll-down insect screen. 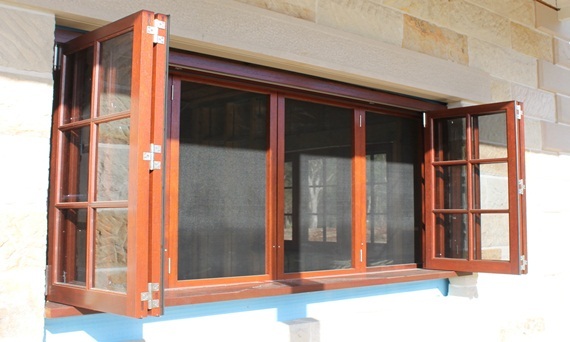 Woodview Joinery’s use of quality timber products and hardware including the Centor Architectural engineered tracking system will always give you smooth operation and ease of use. We never compromises on quality, reliability or functionality, so you can be assured that the bi-folding windows you receive carry superior craftsmanship.